Re: Rupert Grint Fan Club! i think rupert acts better than Dniel,doesn't he..? 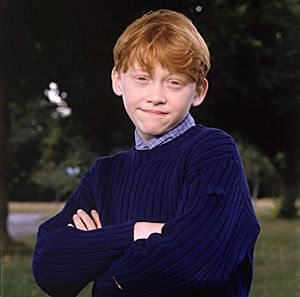 P!nk wrote: i think rupert acts better than Dniel,doesn't he..? That is a very good question. I dont know. I think Daniel is a very good actor and so is Rupert. But the descion lies down too how much people like either actor. It just really differs. You can't really tell which one is better than the other. Rupert Grint is one of the best actors in the movies. Nuff said.